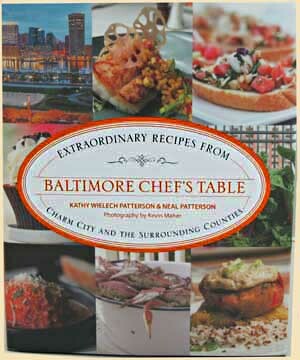 With more than 80 recipes from over 50 of Baltimore's most celebrated eateries this book is part cookbook and part dining guide. The expanding culinary movement taking place spearheaded by newcomers and homegrown chefs are charming diners with delicious variations starring the perennial favorite, crab, as well as offering unique new options. The featured recipes cover all the courses, from soup and appetizers to entrees, to desserts. You'll find new takes on classics like Fried Chicken, Crab Cakes, and Oyster Stew, along with inventive dishes like Frankenfish Tacos, Hangover Hash, Lobster Mac and Cheese, and Sweet Potato Cheesecake. Background information on each restaurant is given along with addresses, phone, and website. While Baltimore City is featured the most, there are 18 listings located in Baltimore County and the surrounding area. Over 25 years of collecting crab recipes from the Chesapeake Bay to the Florida Keys resulted in this - the ULTIMATE Crab Cookbook! With the emphasis on the Chesapeake Bay region, this cookbook gives you almost 200 recipes! Starting with the basics of crab cookery, you'll progress to tantalizing recipes for appetizers, soups, salads, crab cakes, soft shell crabs, deviled crab, imperial crab and more. Order your copy today and you'll soon be turning out those elegant and tasty crab dishes just like the fanciest of chefs. 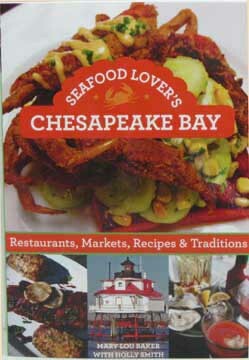 The Chesapeake Bay is know for great seafood and this book celebrates some of Maryland's best offerings. Discover the best locales for sampling the bay's fresh fish and other delicacies including crab cakes, soft shell sandwiches, oyster stew, steamed clams or mussels and all types of local fish. In addition to over 70 recipes from local chefs and restaurants, you'll find descriptions of seafood restaurants and crab shacks, profiles of celebrity chefs, local watermen and seafood markets along with a guide to festivals, culinary events, and maritime attractions. John "Boog" Powell is one of the Baltimore Orioles all time greats. 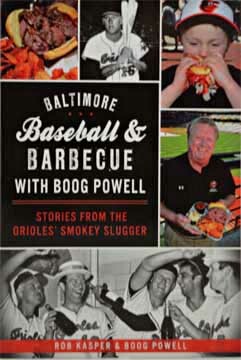 A four time All Star and 1970 AL MVP, Boog is also a renowned cook and barbecuer overseeing a now iconic pit beef stand at Camden Yards, home of the Orioles. This book takes a behind the scenes look at the life of this slugger from his Florida boyhood through his rise to Major League glory and beyond. This rollicking journey is spiced with recipes and topped off with interviews from former teammates like Brooks Robinson Frank Robinson and Jim Palmer. 15 recipes including Boog's famous pit beef! This beautifully photographed and informative cookbook includes 150 recipes from the Alleghenies to the Chesapeake Bay. The book's four chapters cover each of Maryland's four seasons; spring, summer, fall, and winter. There are numerous informative pages highlighting Maryland vegetables, fruits, seafood, farms, chefs, food industry and more. Beautiful photographs of foods, people, animals, farms and recipes can be found throughout the book. Noted cook and author John Shields says in his forward "Dishing Up Maryland is a culinary love story told by Lucie Snodgrass and the many farmers and food crafters from around the state". Comments from noted chefs include: "A photographic and thoughtful culinary journey through the state...anyone who cares about the food of and from Maryland and surrounding Mid Atlantic region will truly appreciate this book". 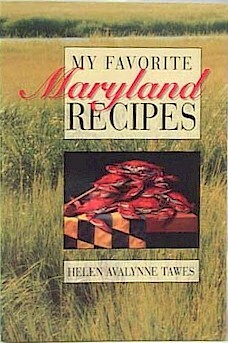 "What a delightful cookbook for those who cook in Maryland. The first picture and recipe made my mouth water...". With a variety of recipes from crab cakes to fresh vegetables to southern favorites to desserts, this cookbook is a real delight. From the wife of a former Maryland Governor, this book first published in 1964 features traditional Maryland favorites along with elegant dishes that were served to guests at the Governor's mansion. 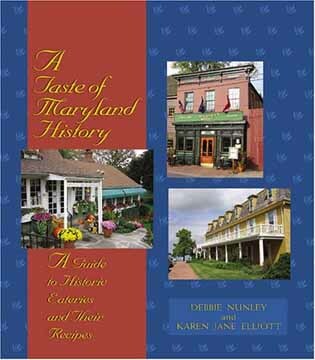 With over 250 recipes, Mrs. Tawes says "the glory of Maryland food is that it contains an extraordinary number of flavors that are exquisite and individual". 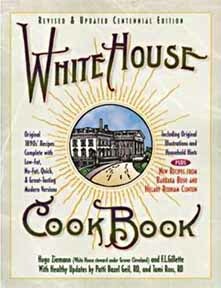 Long praised for its elegant yet simple recipes, this book features dishes such as Old Maryland Fried Chicken, Sweet Pickle Watermelon, Lady Baltimore Cake, Snow Pudding and menus of meals served at the executive mansion. An easy way to culinary greatness! Subtitled "A Guide to Historic Eateries and Their Recipes" this cookbook takes you on a tour of 88 restaurants where the scent of yesteryear lingers in the air. It has 194 recipes that have been adapted for home use along with stories about the cuisine and decor of the restaurants and the history, architecture, and ambience of the buildings in which they are located. You'll find many recipes from classic Maryland dishes like Crab Cakes and Crab Imperial to surprises like Pot Pie of Wild Mushroom or Banana Pecan Crusted Salmon. Hard Cover 128 pages - 6th printing! More than just a cookbook, this is a collection of recipes, photographs and lore of a 350 year old culture in singular isolation on an island in the middle of the Chesapeake Bay. 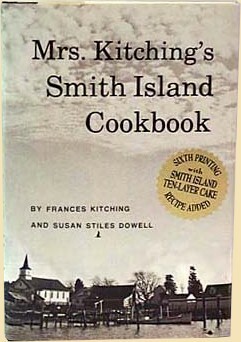 The author and cook, Frances Kitching, was born and bred on Smith Island and her inn and restaurant received universal acclaim. You'll get over 110 of her famous recipes! The author of "Beautiful Swimmers" says: "its all here - the secrets of Frances Kitching's mouth-watering masterpieces". The Philadelphia Enquirer raves: "crammed with stories and photographs, homespun recipes and cooking advice". Although the restaurant and inn are no longer open and Mrs. Kitching passed away in 2003, you can still bring those down home flavors to your kitchen when you order this delightful book. See our Smith Island link on our "links and recipes" page. Ever since the first edition was published in 1948, this cookbook has been considered by many to be the cookbook of the fare so characteristic of this region. You'll get well over 400 straightforward and uncomplicated recipes! In addition to the 50 pages of seafood recipes this book runs the gamut of recipe needs. From beverages to breads, sauces to soups, meats to vegetables, pastries to cookies, and much more, you'll sure to find that recipe you're looking for. 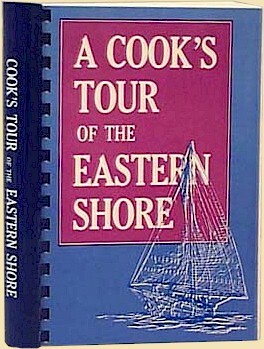 When you receive this book you will become an "official chef" of Maryland's famed Eastern Shore. Since the first printing in 1995 this cookbook has been a Maryland favorite for its varied elegant recipes. Over 370 recipes to choose from in categories such as appetizers, beverages, breads, soups, salads, vegetables, entrees, seafood, pasta, desserts and more. Also included are entertainment hints and menus, and a guide to Maryland crabs and crab feasts along with low fat and healthy substitutions and information on herbs and spices. Stories about Annapolis places and history complete this wonderful cookbook. Proceeds from the sales of this book benefit the community and family support projects of the Junior League of Annapolis Inc. While this cookbook may not have a lot of pages it sure makes up for it with 38 of the most delicious, satisfying recipes that will please the most demanding of appetites. Beautifully photographed pages of soups will entice you to try all of the recipes! Included are multiple recipes for clam chowders, crab soups, fish soups, oyster stews and vegetable type soups (such as potato, corn chowder etc.). Longtime cookbook author and editor Whitey Schmidt, the Blue Crab Guru, has done it again with this offering about soups. With Whitey's expertise in all matters of Chesapeake cuisine you can be sure each and every recipe will turn out a marvelous dish. Soft Cover 254 pages - 3rd printing! The Woman's Club collected recipes that use smidges and tads and translated them into recipes that any cook can use and enjoy serving to family and friends. Selling over 15,000 copies in its first two printings, this cookbook features over 400 recipes for every occasion from everyday meals to holiday feasts. Way back in 1608, Captain John Smith proclaimed: "if Providence were designing an ideal place for men, it would produce the Chesapeake Bay country". Order your copy today and learn the secrets of the Chesapeake. 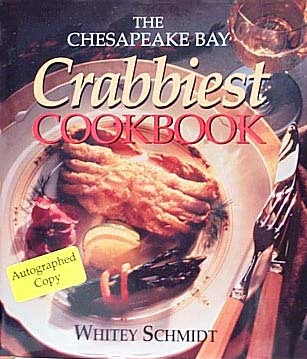 The Chesapeake's culinary expert for everything crab, Whitey Schmidt, has done it again! This book features 210 recipes and plenty of useful information such as how to choose the best crabs and how to eat them. This cookbook also features over 225 photographs of restaurant crab signs, crab advertising, people, places, boats and more! Whitey makes this book fun to read with his comments about the dishes or stories about their background. You'll get recipes for appetizers, crab cakes, crab seasoning, deviled crabs, main dishes, salads, sauces, soft shells, and soups. A great book for any crab lover. 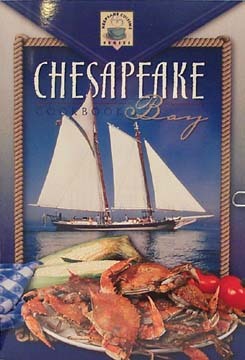 Soft Cover 32 pages - 6 3/4" x 9 3/4"
This book has 67 of the best basic and easy recipes of the Chesapeake Bay region. You'll find recipes for appetizers, soups & salads, vegetables, breads, desserts, poultry and of course seafood. Nothing real complicated here, just simple straightforward recipes for delicious food. Full color pictures. First published in 1894 during Grover Cleveland's second term and written by the White House steward under Cleveland, this revised Centennial Edition has original 1890's recipes along with new low fat, no fat, quick and easy modern versions. Each new recipe has complete nutrition analysis and exchange information. Over 125 recipes such as cinnamon cider, spider corn cake, homemade catsups, seafood gumbo, crock pot beef roast, chicken pot pie, savory new potatoes, raspberry sherbet, plum pudding and much much more. Plus new recipes from Barbara Bush and Hillary Rodham Clinton. Also included are original illustrations and photographs as well as interesting and amusing household tips and health suggestions such as how to avoid a cold, wash feathers, or make a hair invigorator. There's even early tips on table etiquette and the menu for a typical state dinner at the White House over 100 years ago. More than a cookbook, this is a unique and fascinating glimpse into America's past. Maryland has long been called a gastronomic delight. This wonderful collection of 5 cookbooks covers the best of Maryland recipes. From the secrets of a 340 year old island culture to the elegant dishes of the Governor's Mansion, you'll find a recipe for any occasion. 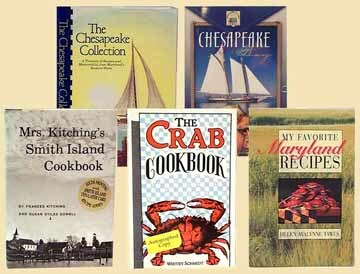 Included* are: "Mrs. Kitching's Smith Island Cookbook", "The Crab Cookbook", "My Favorite Maryland Recipes", "The Chesapeake Collection" and "Chesapeake Bay Cookbook". *Cookbook selection may vary based on availability. With this set you'll get all the basics you need to make great crab dishes. From beginners to "old pros" this makes a great gift for the crab lover. You get a 6 oz. 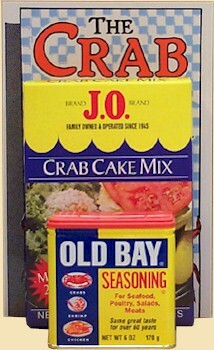 can of Old Bay Seasoning, a box of J.O. 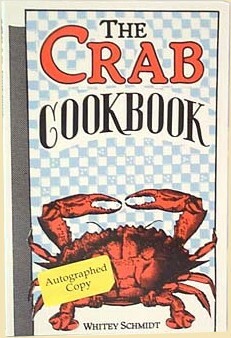 Crab Cake Mix, and "The Crab Cookbook" which has nearly 200 mouthwatering recipes. Packed in a clear cellophane bag with ribbon tie. Simply Blue Crabs is a basic but complete guide to catching, cooking, picking and eating the delectable blue crab. Contents include: How to Catch Blue Crabs; How to Cook Blue Crabs; Eating Crabs; Crab Recipes; Soft Shell Crabs and more. Complete detailed photos and instructions on how to pick and eat your first crab are included. 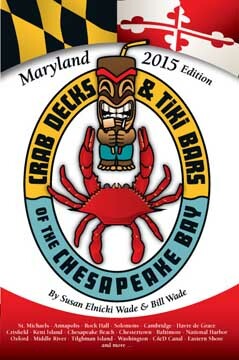 The Maryland edition of Crab Decks & Tiki Bars of the Chesapeake Bay is the latest edition in this popular destination guide. 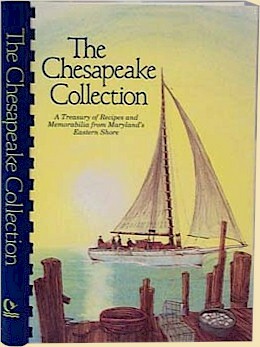 Use this book to discover hidden gems on every neck along the shores of the Bay from the headwaters of Port Deposit and North East to Baltimore's inner harbor, from historic Annapolis to the scenic Eastern Shore, and then all the way south to stops in Solomons Island and along the Potomac River. In all, 13 different regions are covered. In their ongoing research quest, the authors have pulled together in-depth profiles of 200+ authentic waterfront seafood restaurants, crab houses, and tiki bars in Maryland and provide you with detailed descriptions that tell you what to expect and local stories that add color to each destination. If you haven't yet discovered the treasures of the Chesapeake Bay, now's the time, and this guide will lead you to authentic, fun-filled places on the water. If you think you already know the Bay, this book will introduce you to hidden gems that are often overlooked. Makes a great gift!